We have recently been working with Recharge Telford on various marketing projects, including print and digital graphic design work. 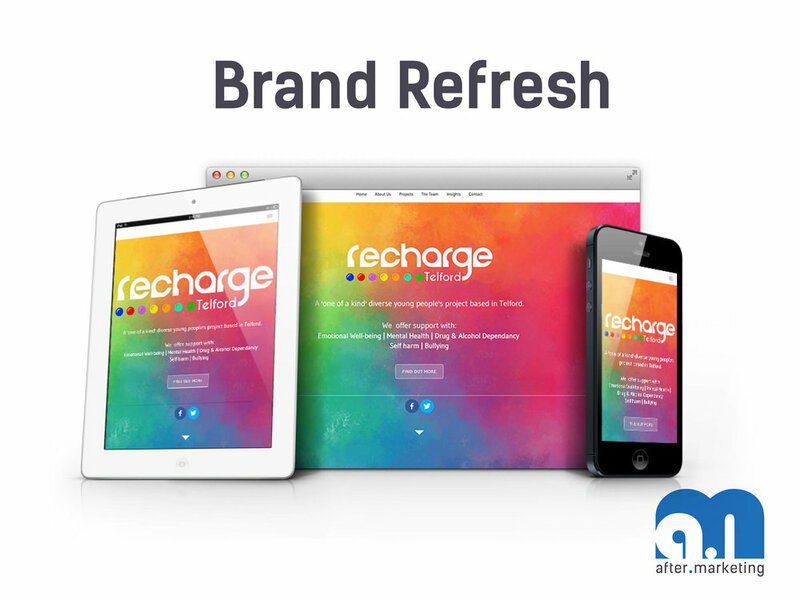 The Recharge Telford brand now has a clean up to date new refreshed look. We have designed new consistent print material across all information flyers, brochures and hand-outs. We have also designed and developed the Recharge Telford website from scratch. The site is now fully mobile responsive, with full SEO managed pages. If your brand is in need of a refresh or a full redesign from scratch, get in touch with us to see how we can take your brand to the next level.